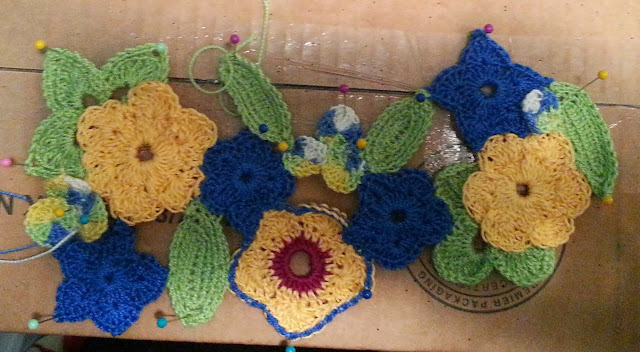 I am working on a new headband. 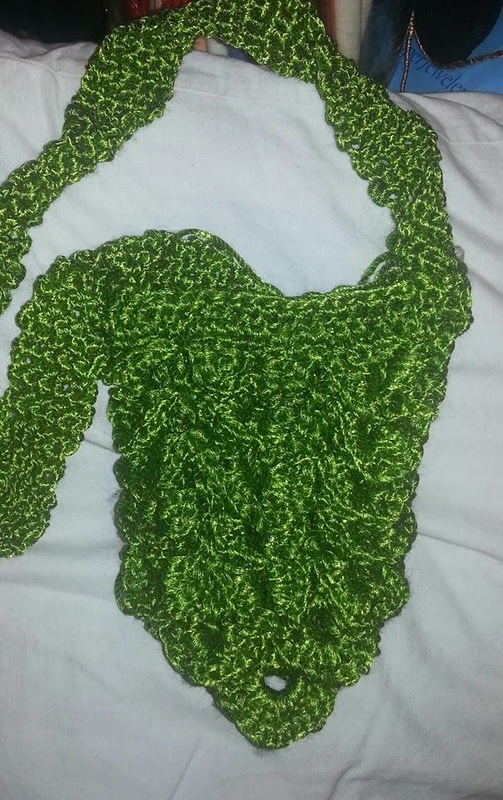 Trying to master the technique of freeform/irish crochet. I have been heavily inspired by Russian crochet magazines. this is the basic layout for it. A few more pieces to sew together before I start in on the netting. A new pattern in the works too. I have a couple more steps before I can upload it to Ravelry, but it's a dragon scales pouch. 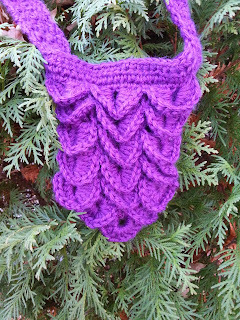 Or pinecone pouch - depends on my mood. Perfect for afternoons at RenFest. Looks great in metallic yarn, but doesn't photo well.